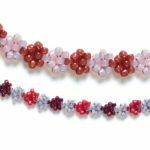 Save Time and Money Creating Beadwork Patterns in a Kit! As a relatively new beader, I’m a sucker for kits. All the various materials I need for a project, wrapped up with a tidy bow — sign me up! For example, I considered purchasing the supplies to make Kim West’s Mini Medallions Bracelet and Earrings from Quick + Easy Beadwork Winter 2017. But after searching for and pricing out the necessary materials for this set, I’m convinced that our premade kit is the best option! Here are just a few of the reasons I love Interweave’s beading kits so much. Let’s face it, we’re all busy these days. And I’m certainly no exception! Between working full-time as Beadwork’s managing editor, raising three teens/tweens (hi, kids! ), and volunteering on two parent boards at my children’s schools, I don’t have a minute to spare some days. 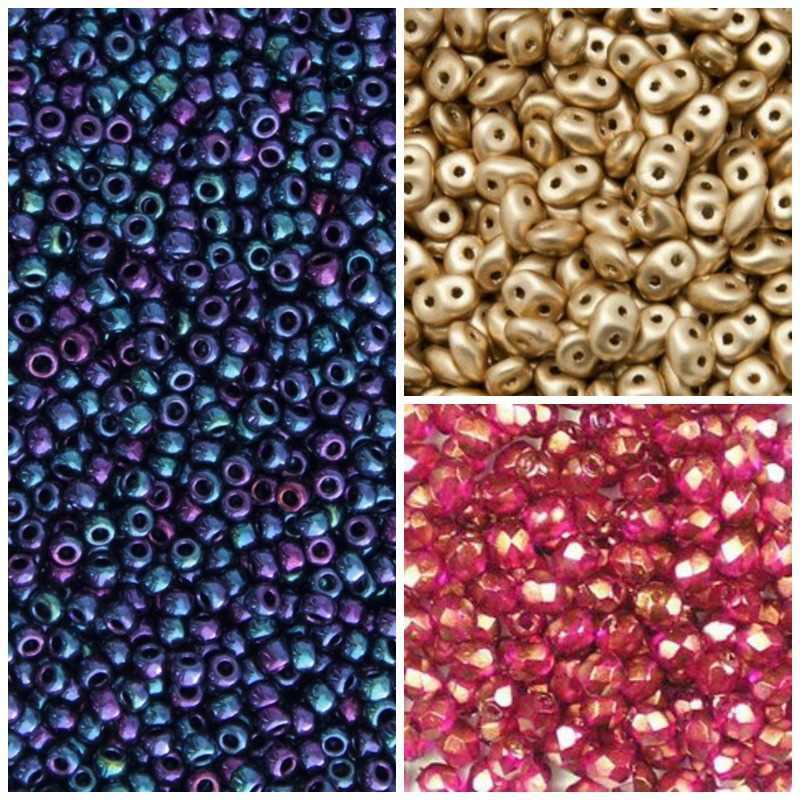 I certainly don’t have time to run from bead store to bead store, looking for all the necessary materials to create a beading project. If I’m lucky enough to carve out some beading time, I need to have my supplies on hand quickly. Shopping online can certainly save a considerable amount of time. However, I still find myself spending inordinate amounts of time looking at multiple online retailers to find supplies. For example, I had to search multiple online bead stores before I found one that carried all three sizes of seed beads in the correct color for the Mini Medallions Bracelet and Earrings. And of course this site didn’t carry the correct color of 2-hole SuperDuos or 3mm fire-polished rounds! 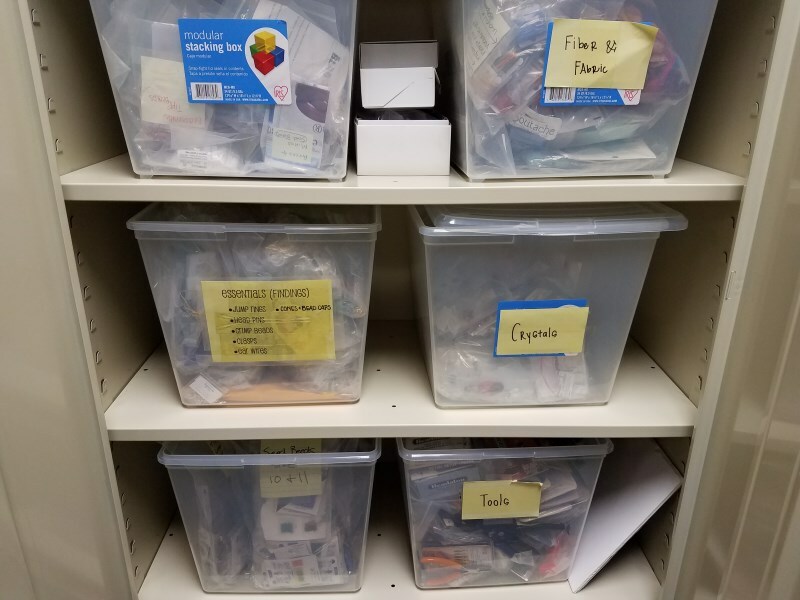 Kits save time because you don’t have to search multiple stores for various materials — everything is included! Some people have huge beading stashes and can make a new project from the materials they have on hand. Not me! I have a few essential supplies, but certainly not enough variety to duplicate a project if I see something I want to make. If I want to make a new project, I usually have to buy new materials. Of course when I do purchase beads to make something, I always end up with leftover materials — a half tube of seed beads, a handful of extra bicones, etc. Because patterns rarely call for materials in the same quantities in which they’re sold, there always seems to be leftovers. When I priced out the materials for the Mini Medallions Bracelet and Earrings Set, I found that I’d have to buy between two and twenty-nine(!) times more beads than I’d actually need in some cases. If you buy a kit, you get only the materials you need. No wasted money on extra supplies that you might never use! In pricing out the components for numerous Interweave beading kits, I’ve learned a couple of things. 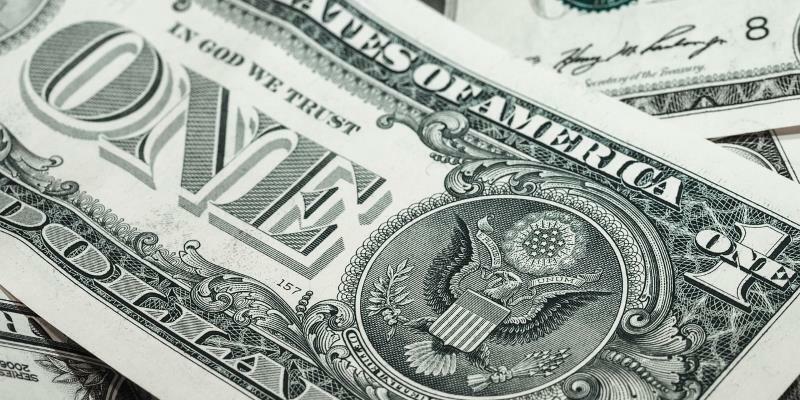 First, retail prices can vary widely between vendors. Second, certain beads can be very difficult to find! Even if you save yourself the trouble of running from store to store by ordering online, you can spend a lot of time looking for the exact materials you need to make a particular project. Kits save you the hassle, because we’ve already done all the legwork! Even if I had the money to tie up in a huge bead stash (which I don’t! ), I don’t have that kind of storage space. Every bedroom in my house has a kid in it, and they’re showing no signs of vacating anytime soon. Even when I need to sew something, I have to set up a folding table in the family room and drag my sewing machine out of a closet. I certainly don’t have room for a permanent beading space and stash! Buying bead kits means I have relatively few leftover materials to store, which for now fit in a small container in a dresser drawer. Kits help save the environment because everything comes to you in one convenient package, using minimal resources. Those specialty components and perfect beads often come from many sources, and they can add up to a lot of packages coming to your door. Now that you know how efficient and cost-effective it is to buy a beading kit, take advantage of all the kits Interweave has to offer! The Mini Medallions Bracelet and Earrings Set kit is just one among the many. And, you’ll get Quick + Easy Beadwork Winter 2017, which is chock-full of other great projects! Get these kits and Beadwork magazine in our shop today!